Spencer Wall01263 715779work01603 870304fax Self-cateringSpencer Wall, a large house with garden and terrace, is situated near Eccles beach between the villages of Happisburgh and Sea Palling on the Norfolk coast. The market towns of Stalham and North Walsham are nearby, as well as the Norfolk Broads. 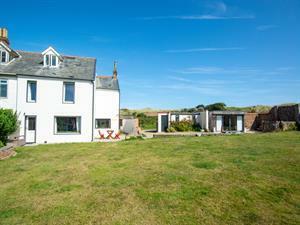 Situated in an ideal location for a seaside holiday, being just a few minutes from the beach. Spencer Wall offers weekly bookings starting on Friday. Spencer Wall, a large house with garden and terrace, is situated near Eccles beach between the villages of Happisburgh and Sea Palling on the Norfolk coast. The market towns of Stalham and North Walsham are nearby, as well as the Norfolk Broads.